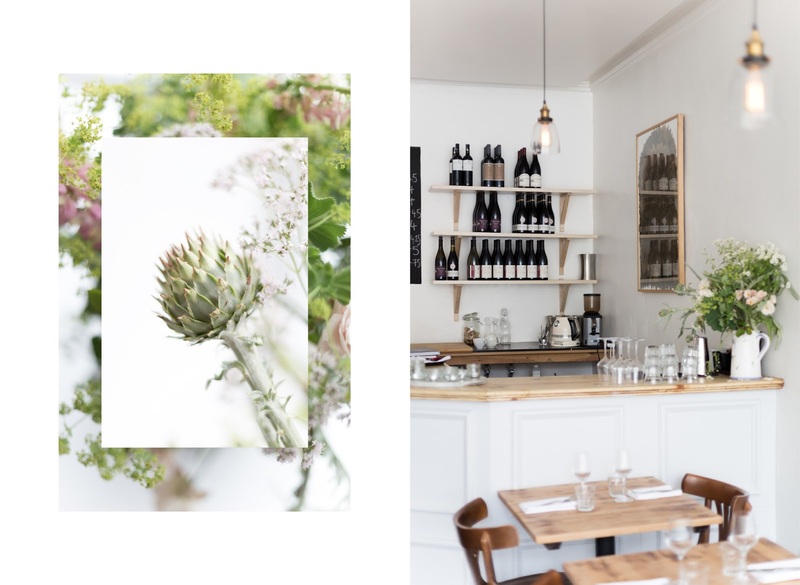 Hidden in the heart of my hometown Bristol; Redland’s Chandos Road has really become one of Bristol's go-to food and drink destinations in the last few years thanks to No Man’s Grace, Aron’s Jewish Delicatessen and one of my favourite restaurant’s, Michelin-starred Wilks. 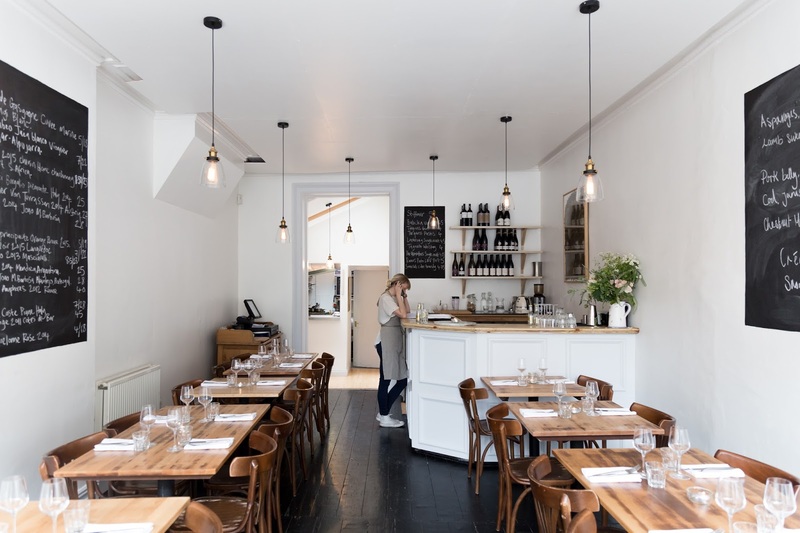 Now with the arrival of Wilsons, Chandos Road gains a welcoming, buzzy new 24-cover bistro, serving seasonal produce cooked to an exceptional standard. 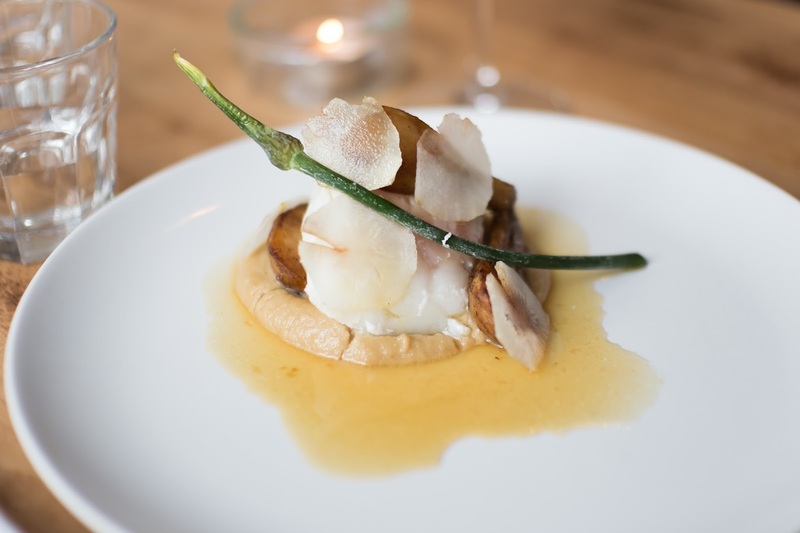 It is the first restaurant from Jan Ostle, former head chef at my favourite Bristol gastro-pub, The Kensington Arms, which is based just round the corner. 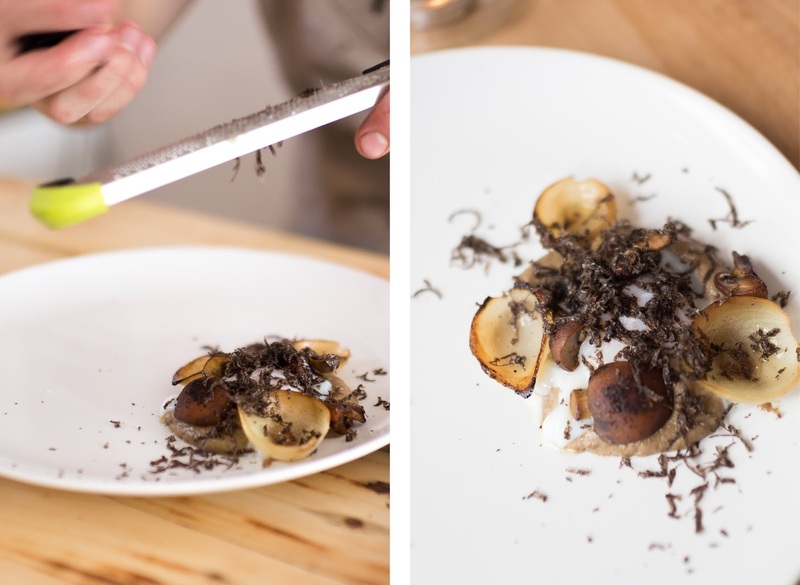 Prior to his work at the nearby Redland pub, Jan was working at Shoreditch’s The Clove Club, an acclaimed London restaurant that was recently listed in the world’s top 50 restaurants. He also had a stint at The Hand & Flowers, Tom Kerridge’s two Michelin star pub in Marlow, Buckinghamshire. With such experience and passion for food it was about time Jan opened his own residence in Bristol (which, without being biased, is a great place). Jan’s passion for food is unlike any chef I have ever had the pleasure of meeting, you can immediately sense this is a passion that Jan wants to share and explore, it isn't just a business. 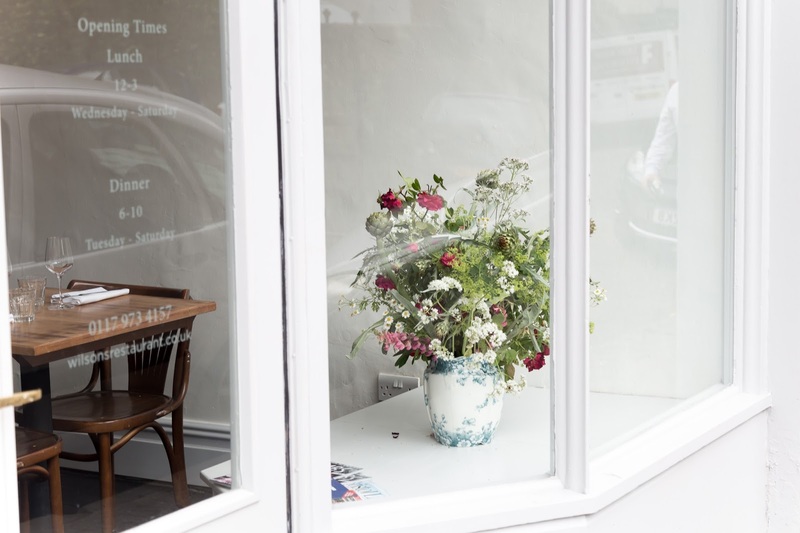 Jan is extremely personable and will welcome you in and really engage you in the food that he has enjoyed prepping, curating and cooking for you. Jan is refreshingly passionate about creating something in house and utilising what he has and what is around him - everything at Wilsons has a story, context, and has its own reason for its being there. 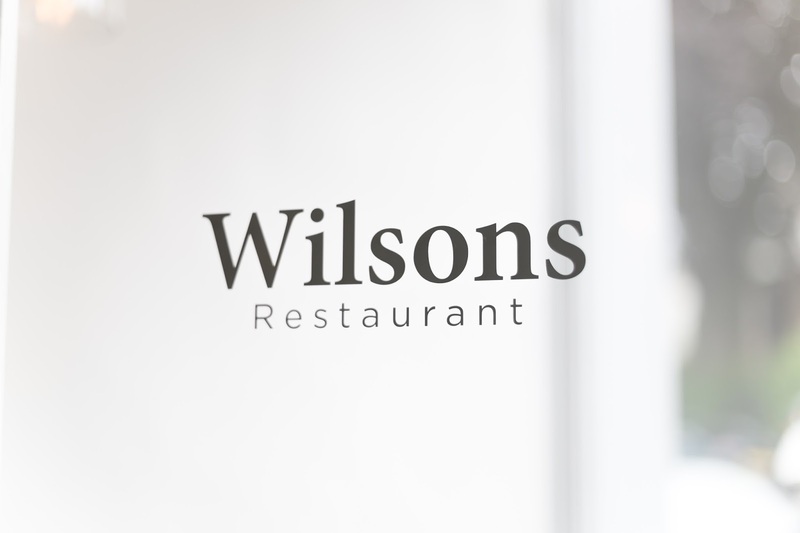 The name Wilsons comes from Jan’s Wife, Mary; whose parents used to run a popular London Restaurant - ‘Wilsons’. In the front window of the Redland restaurant hangs the original 1980s stained glass sign from the London restaurant. 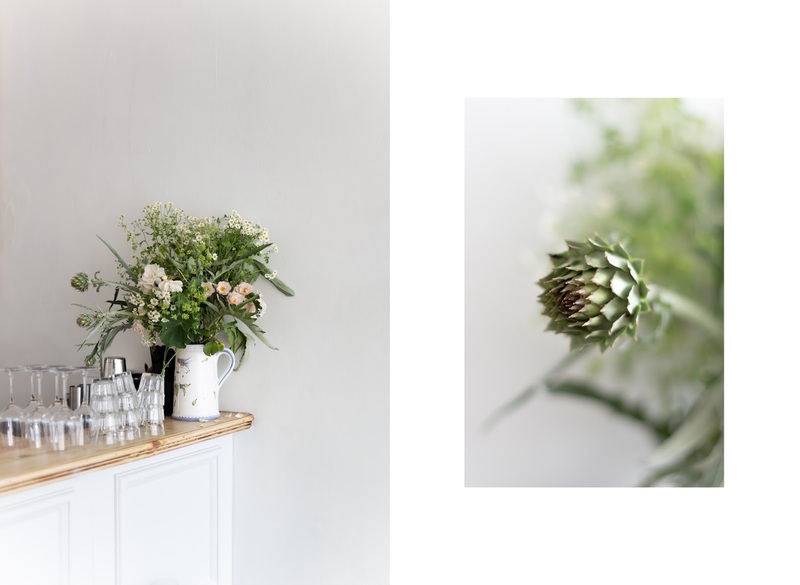 Bare whitewashed walls and wooden floorboards painted black; the only splashes of colour come from the vintage vases filled with artichoke hearts and wild flowers from the Jan’s mother’s allotment. 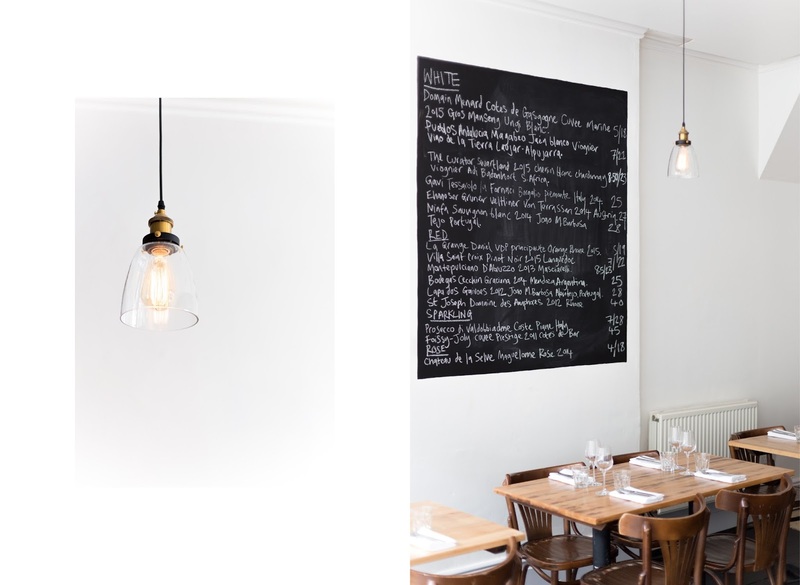 Bringing a bit of Shoreditch to Redland - the bright and minimalist interior reminds me of Margot Henderson’s Rochelle Canteen. 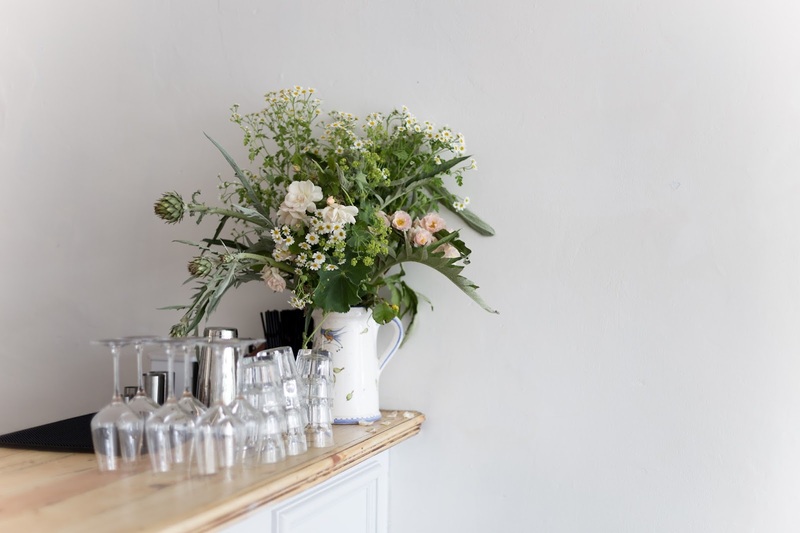 The intimate restaurant isn’t fussy, it isn’t fancily decorated, it’s all about the food, and the bare, minimal interior acts as a blank canvas, allowing the innovative food to decorate the restaurant with colour. 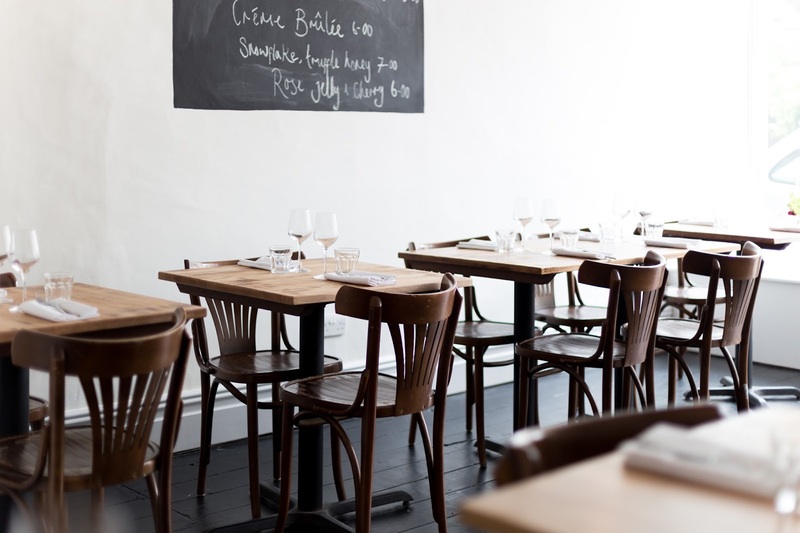 Bentwood Thonet-style bistro chairs and sanded back tables from the previous pizzeria have remained in use at Wilsons, the only thing Jan believed was a worthy investment was the retro lamps fitted with Edison lightbulbs, which completes the restaurant’s look and the most necessary investment, the kitchen. Amongst the bare white walls are two square patches that appear to have been painted by hand, black. 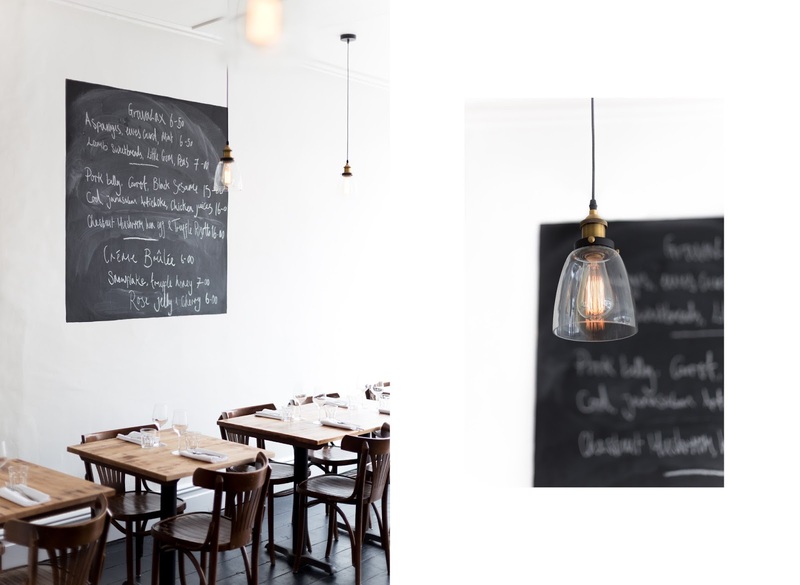 One featuring the small weekly changing food menu, whilst the other chalkboard features the exceptional wine list, curated by local merchant Raj Soni. With Jan and wife Mary busy in the kitchen, Jess Rowlands is in charge of the front of house. 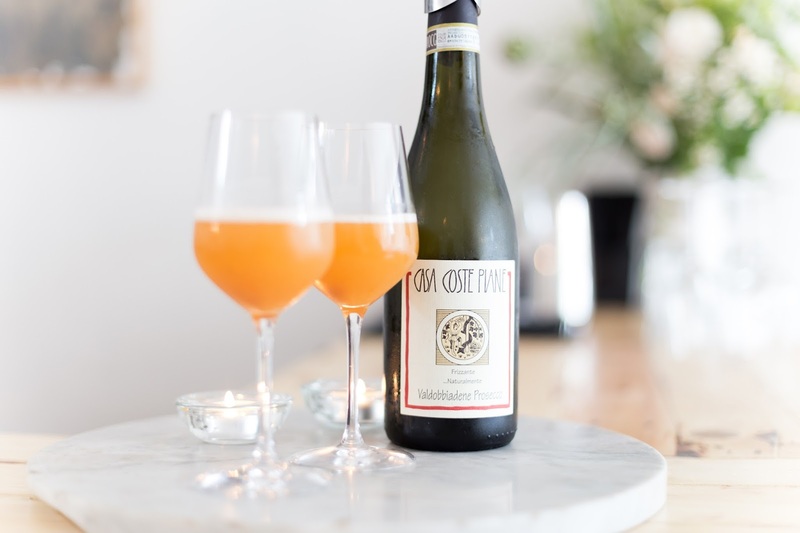 Knowledgeable and warm, Jess offered us a refreshing Bellini, made from their own homemade apricot purée and a well complemented naturally sparkling Valdobbiadene Prosecco before she assisted us in our menu choices and wine pairings. Three, three, three. The food menu is sensibly short considering the size of the tiny open kitchen, consisting of three starters, three main courses, and three deserts. The choices change weekly based around ingredients which Jan and Mary gather, grow or hunt themselves, locally. 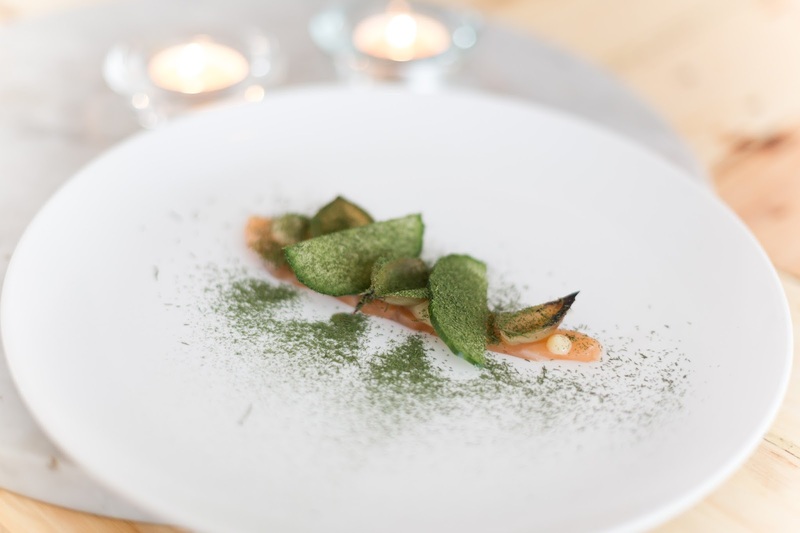 We were luckily enough to sample the majority of the recent menu… To start we sampled the fresh and tangy Nordic Gravlax, this was followed by the last of this season’s asparagus, served with ewes curd and mint. 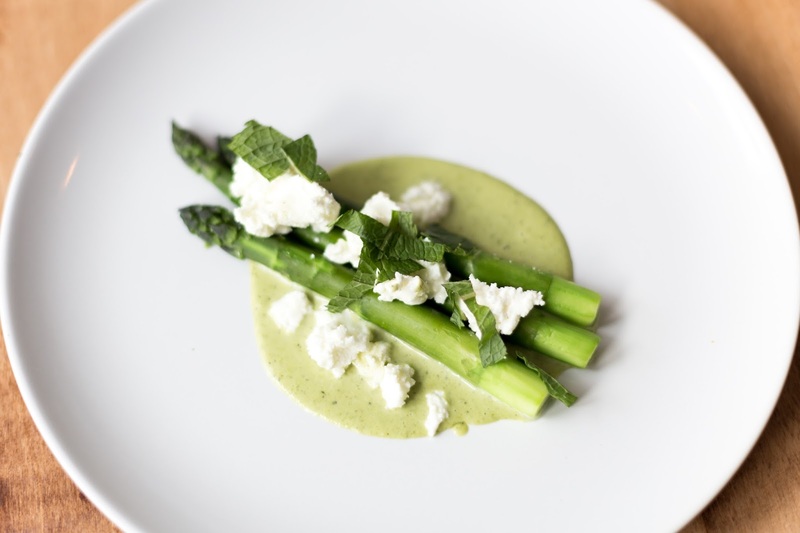 This asparagus was notably some of the best I’ve ever had, and just like the majority of food at Wilsons, innovative ingredient parings complemented each other perfectly - sometimes to my surprise! 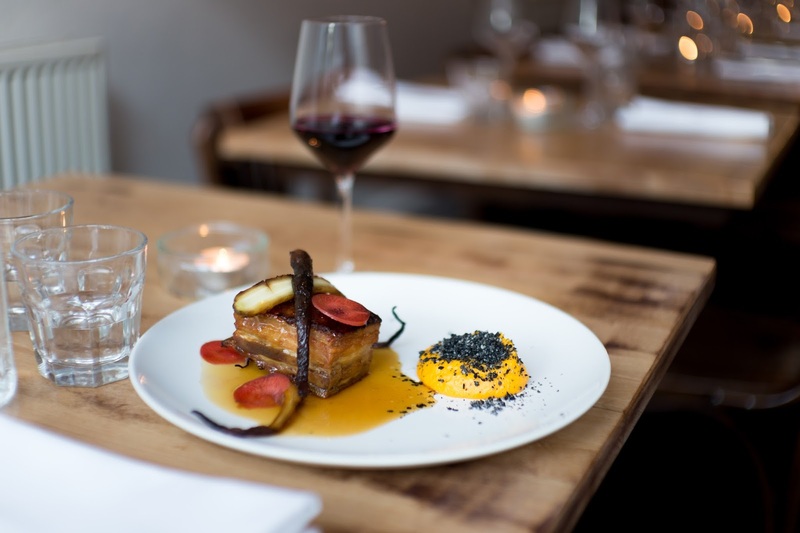 As for the mains, we had all three… A brick of incredibly flavoursome pork belly, succulent and precisely cooked with a naughty layer of crispy skin on top; how pork should always be! Just like the triple threat menu the pork was served with carrot’s three way’s: raw, roasted and as a purée which was topped with crushed black sesame seeds - this dish was a highlight! Next up was a main course of cod, Jerusalem artichokes and chicken juices; the fish had been slowly cooked sous-vide style in a water bath to guarantee perfectly moist flakes, and no surprise the artichokes were served once again three ways… fully sampling the potential of the artichoke, raw and wafer thin, golden and roasted and also served as a silky smooth purée. Greenery was added to the dish with an impressive roasted ‘garlic scape’ - something I was not familiar with… the conventional garlic bulb that you may be used to, grows underground and the and the scape is the bud that flowers from the underground bulb… the Garlic scape is often used in flower bouquet’s - but eaten, a great vegetable that I would describe as being a garlic-y green bean, which complemented the cod and topped off the dish for me. The last main course we tried was the chestnut mushroom, hen egg and truffle risotto, however Jan served up the best bits and left out the filling risotto as our massive feast still had a while to go… This dish was incredible, the rich flavours from the perfectly poached golden yolk combined so well with the nutty mushrooms and masses of luxurious black truffle shavings. I’m certain that the risotto would work brilliantly with the main ingredients and bring it together as a tasty and substantial main course. 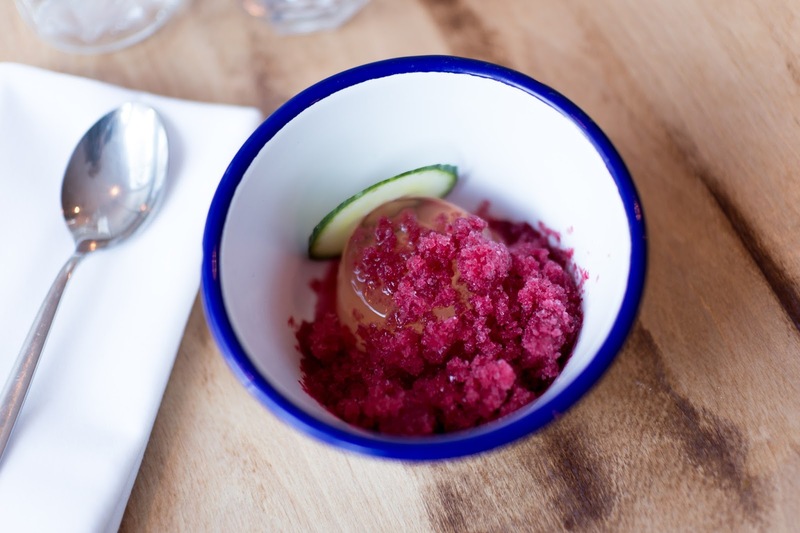 At this stage we were beginning to tire and feel full but continued to sample the final three desert courses… The first was rosé jelly served with cherry ice and a slice of cucumber - this cleansed the palate nicely before moving on to a serving of Scandinavian snowflake, soft cheese served with truffle-infused honey. Last, but by no means least, the crème brûlée; classic, baked to perfection and lightly seasoned with salt - Jan’s little trick to balance out the sweet dessert. 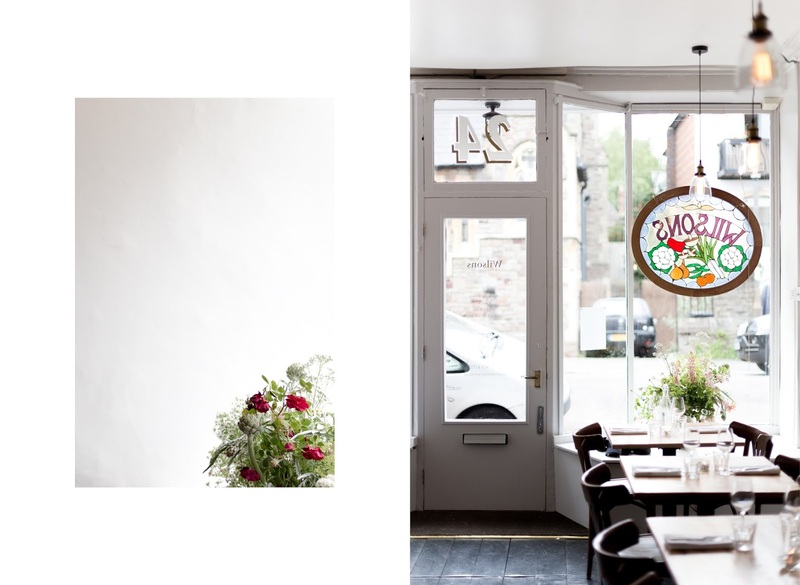 I think Wilsons is one of the most exciting and innovative restaurants that have recently opened in Bristol, and this raw local bistro has the potential to become a gem in the South West. 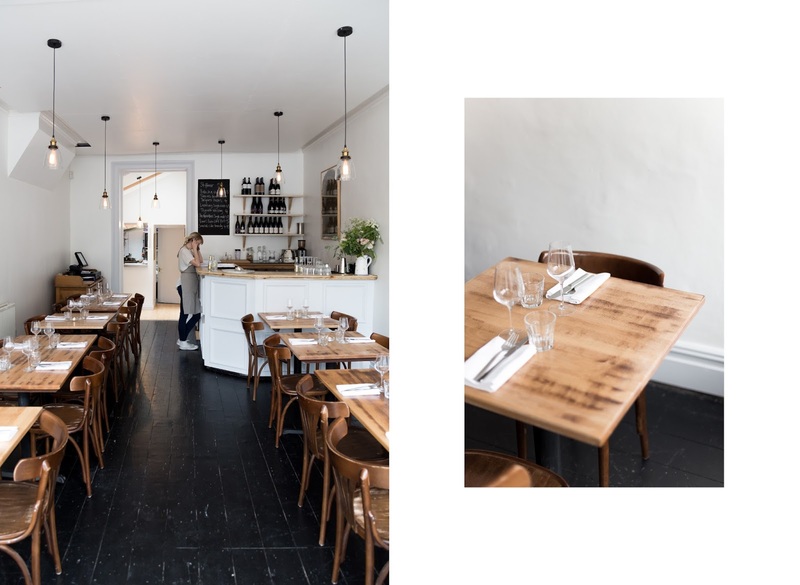 Chandos Road has a great new addition that I would love to see become a firm favourite amongst locals, visitors and foodies alike. Wilsons is home grown, locally sustainable and I believe offers bistro-style fine dining at an affordable price. 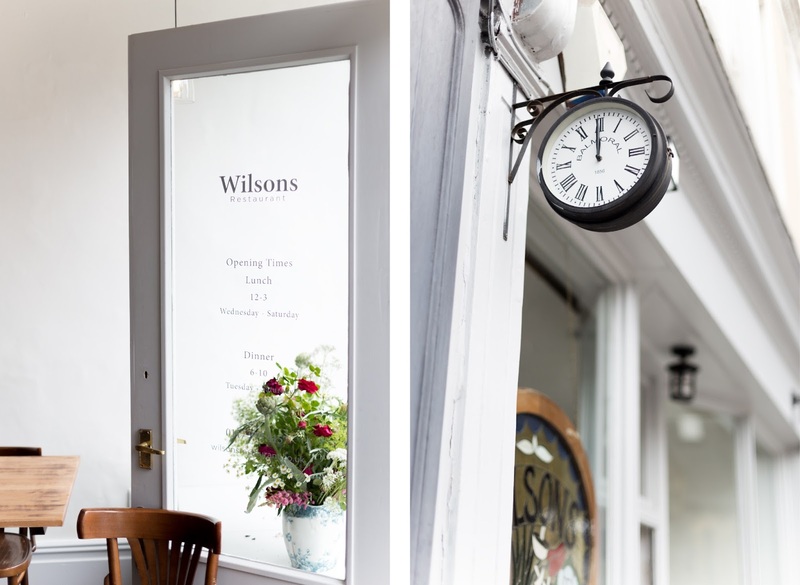 A comfortable, unpretentious setting, if you (like myself) love food and want a great new experience that won’t disappoint, head over to Wilsons and tell Jan I sent you. these pictures look amazing dude. will keep this place in mind next time I come to Bristol, looks nice. Really? It's a great article by the by. My dog lives in our glass house where the temperature has its perfect balance. Isn't it cool? Thanks to double glazing uk deal.